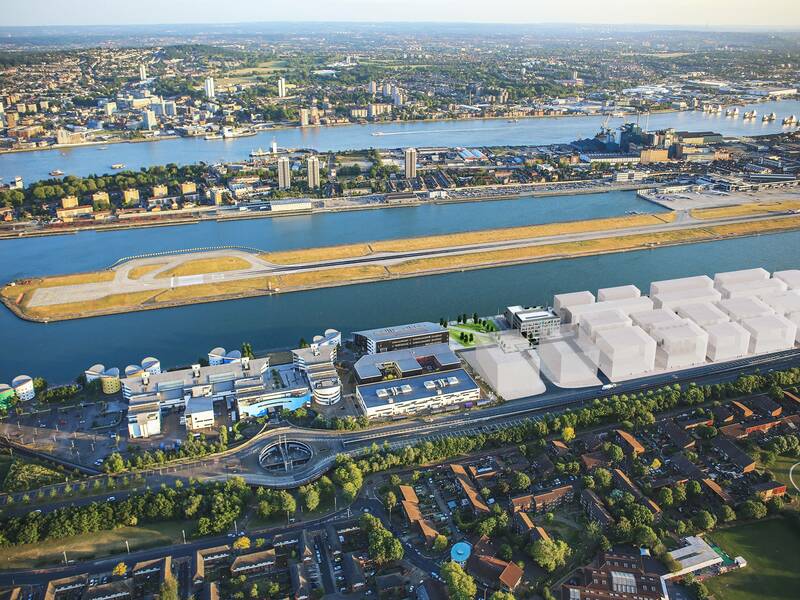 We developed the brief and design working in consultation with project sponsors the University of East London, Thames Water, Costain and Thames Tideway Tunnel as well as Newham Borough Council, ABP, London City Airport and the Royal Albert Dock Trust. Our concept was informed by the relationship between the site, the adjacent UEL buildings, the dock edge, access requirements and by airport and student safeguarding constraints. Our design incorporates a new publically accessible square and reveals activities taking place within the specialist laboratories to passers-by. This BREEAM ‘Excellent’ rated UTC provides places for 600 students and 150 apprentices specialising in Engineering, the Built Environment, Art and Design. Key facilities include specialist laboratories for science, engineering mechatronics, pneumatics, BIM, digital fabrication and robotics. We designed a large roof terrace to overlook the Royal Albert Dock and London City Airport.